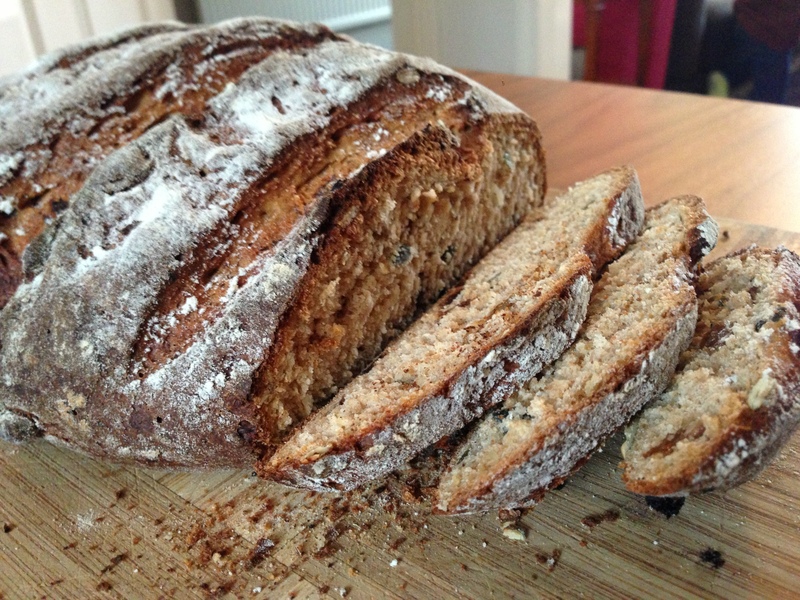 This entry was posted in Vegetarian and tagged bread on June 15, 2013 by Jonny Kaldor. 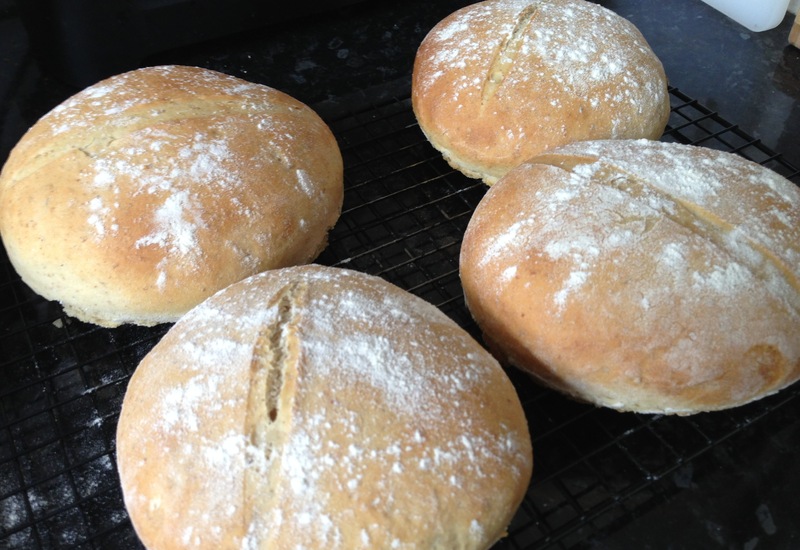 This entry was posted in Vegetarian and tagged baps, bread on June 15, 2013 by Jonny Kaldor. It’s bloody March 23rd and it’s snowing. I have a 270km bike race in four weeks and I’ve been on Old Red twice since Jan. And it’s snowing. I know it’s an idiotic exercise to use this as evidence to attack the general understanding that the planet is warming up, but I’ve had enough – I’m going to write a puerile letter to the Daily Mail and have a rant. Along with the other idiots. Anyway, while I enjoyed being wheat-free-me for a month, I found myself this morning with time on my hands (given the lack of other options, due the fact that it’s snowing) along with a jar full of dried fruit and a mind to experiment, so it was time to throw off the anti-gluten shackles. Best served toasted with lots of butter – it’s a bit like a cross between bread and pannetone. Bene. 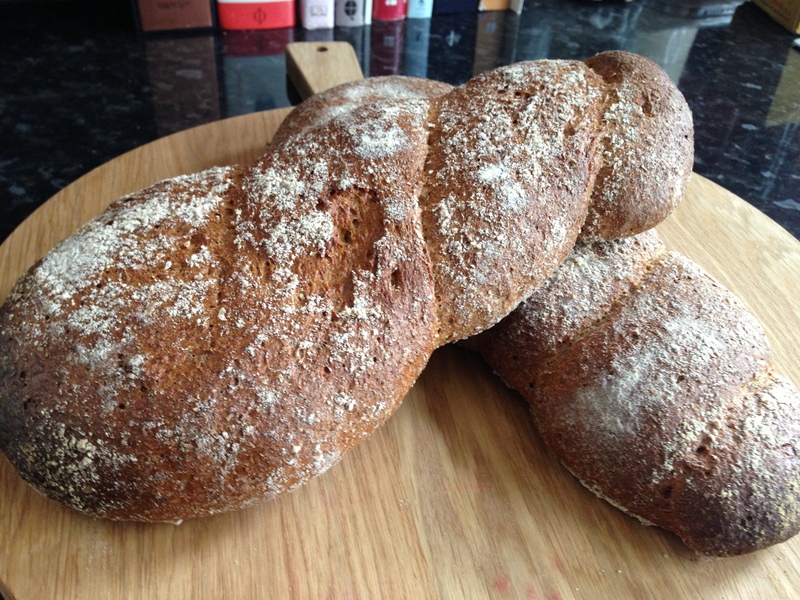 This entry was posted in Vegetarian and tagged bread, fruit, loaf on March 23, 2013 by Jonny Kaldor. Now leave the bread in a large bowl covered in cling film (I realise now that you don’t need damp teatowels) in the oven at less than 50c for as long as you can bear – at least an hour and a half but two hours would be even better. This is your first proving – it should at least double in size. Now roughly chop green olives and jalapenos and mix them well into the bread. 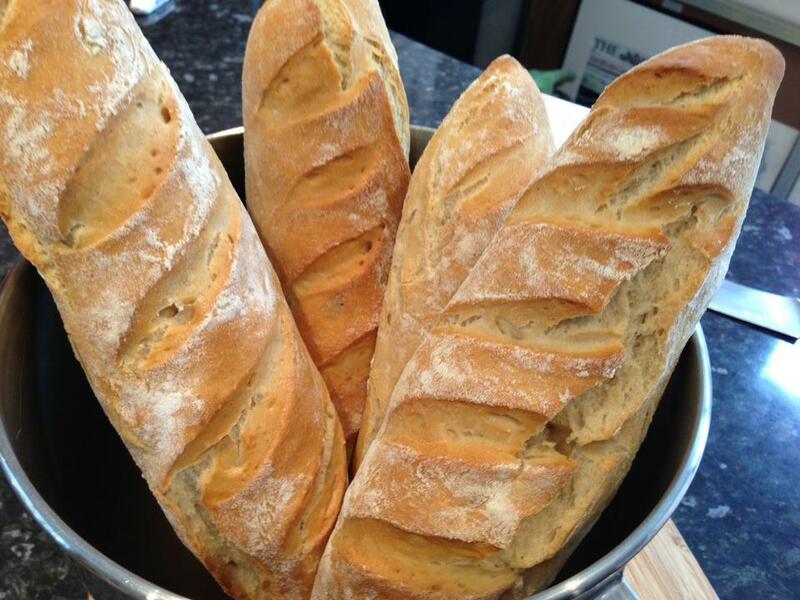 Don’t worry that you’re knocking all the air out of the bread – it will come back. You can also add a good couple of handfuls of grated gruyere at this point if you like (in fact, do – it really works well – especially if you’re going to toast the bread). Now set the oven to its hottest and form the bread into a loaf – I like a round boule, but really you can do whatever you like – just make sure that you put a few scores in the top, sprinkle over some flour, place it on top of the warming oven and cover again in cling film. 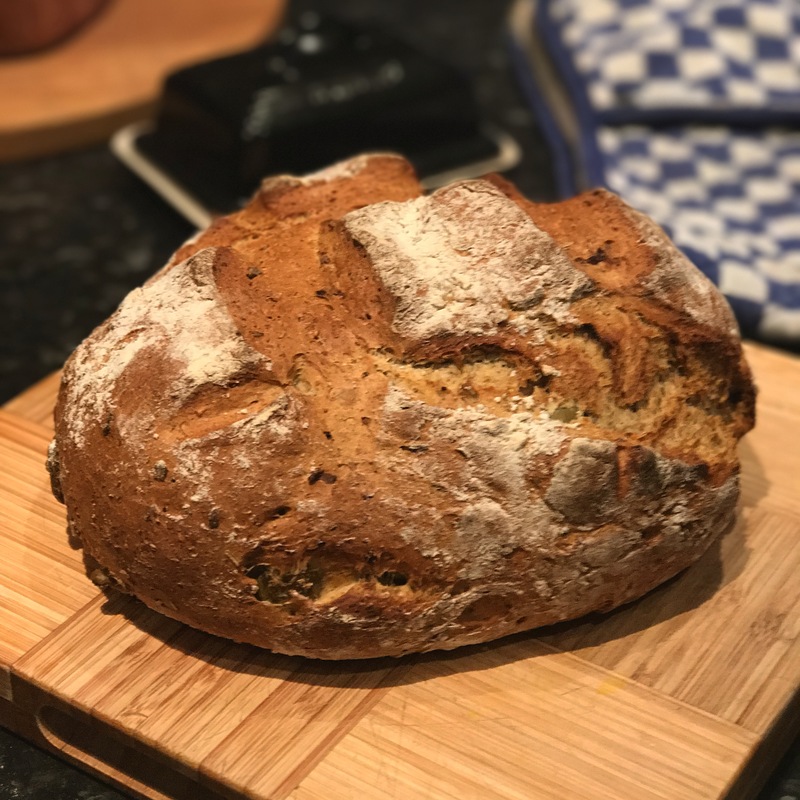 When the oven has reached its hottest temperature (usually after about 30 mins) your bread will have completed its second proving and will be ready to bake. Place it in the oven along with a glass full of boiling water, thrown into the oven shutting the door immediately (try to hold on to the glass). After about 10 minutes, chuck in another glass of boiling water, and another after 20 mins. If you made a single large loaf, it will be ready after 35 mins. If you made smaller loaves then they will be ready faster. That’s it. The best yet. And no blabbing on about other things. A simple post about food. Who would have thought? 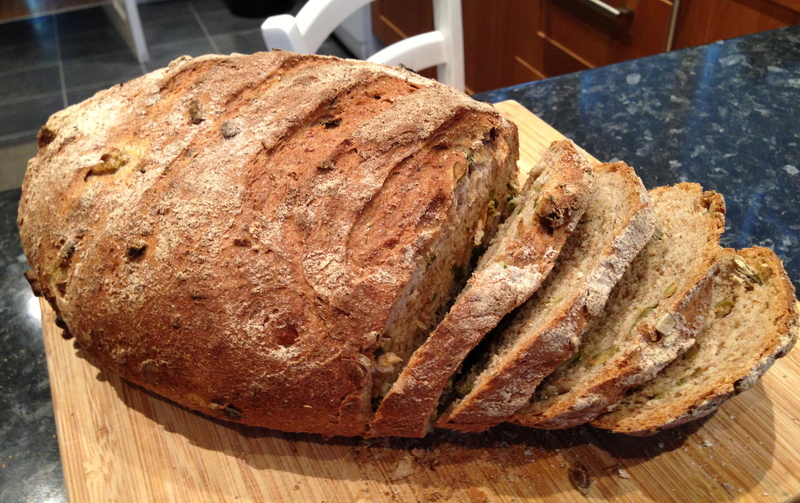 This entry was posted in Vegetarian and tagged bread, jalapeno, olive on December 29, 2012 by Jonny Kaldor. I know I’m not the only one to consider this the best summer yet – perfect in so many ways: Team Sky brought home the Tour de France yellow jersey, the Sky Velo contras smashed the Alps and the Pyrenees, London showed the world what a fantastic place it can be, the shorts grew ever more fun, interesting and inspiring and Puggers kept us all busy winning awards. I think it’s fair to say that the summer of 2012 is going to be, as my hard-fi friends would say, hard to beat. As usual, I’m not great on quantities, but I’m not sure it’s hugely important as long as you get the right consistency. 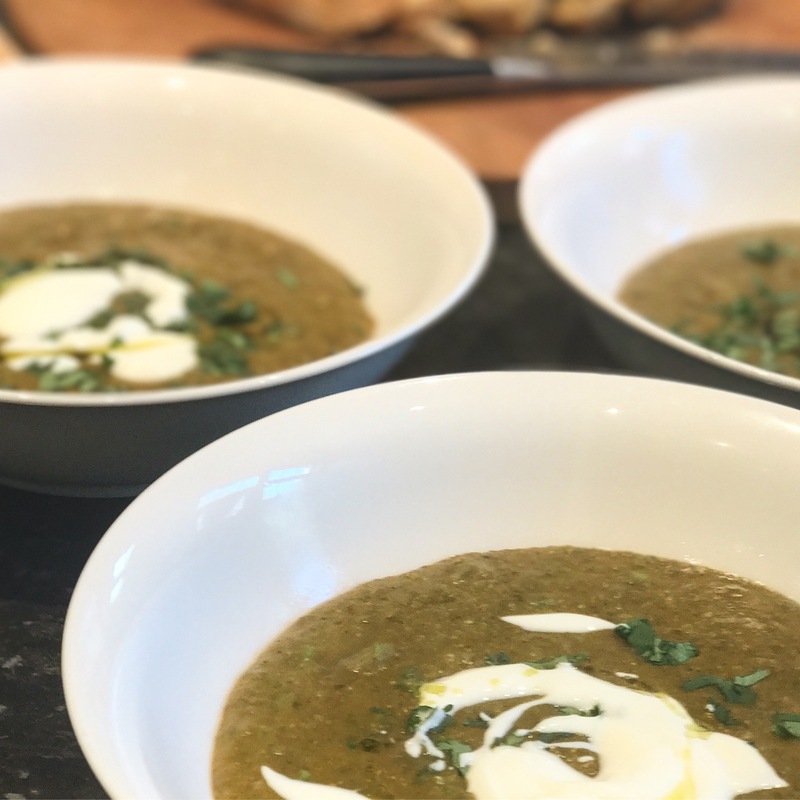 Take about 400g of organic plain flour, add a couple of good teaspoons of salt and a little more dry ready-to-use yeast. Then add enough cold water (yes cold – the whole warm water thing is fallacy) and few good glugs of olive oil to make a fairly wet dough – firm enough to be able to work and knead it, but wet enough that it’s still sticky (this is the thing I always got wrong – I always made the dough too dry). Knead the dough for 10 minutes and then stick it in a bowl covered in cling film and put it somewhere warm for an hour (I don’t have an airing cupboard so I stick it in the oven at the lowest possible temperature). Take it out and then divide into four and roll out onto floured baking trays. Cover them again in cling-film and put then on the top of the oven. Turn on the oven and start getting it up to about 250c – the warmth of the oven as it heats will help them rise again. After about 15 minutes, they should have already risen a little. Knock them back, and roll them out again (They should be about 2-3cm in diameter, no more) and re-flour the baking trays before laying them out, scoring them diagonally across the loaf with a bread knife and covering with cling-film again. Now put a baking tray half full of boiling water into the oven to get a good head of steam going. After 30 mins, put the bread in the oven and just before you close the door, chuck in half a glass of boiling water – preferably not on top of the bread. 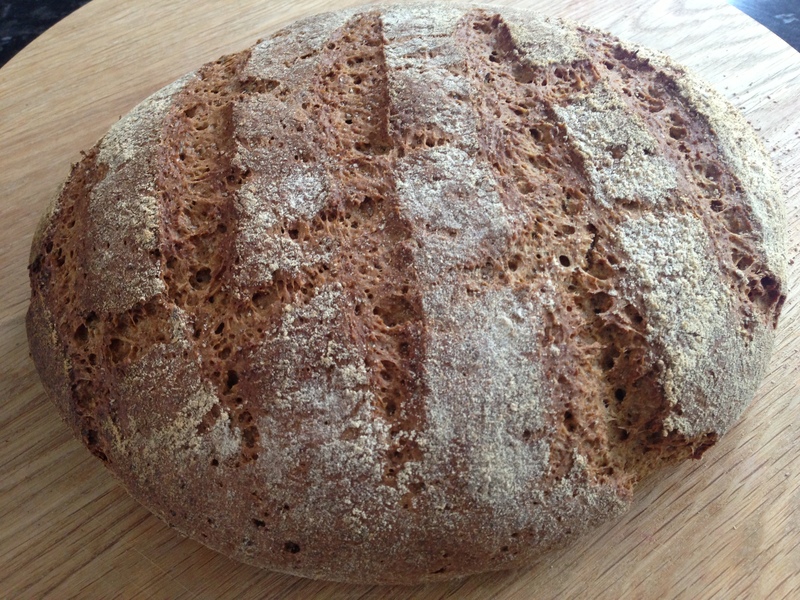 After about10 minutes, chuck another glass of boiling water into the bottom of the oven – all that steam is what will make the bread beautifully crusty. After 20 minutes, remove the tray of water and let the bread cook for a final 5 minutes (although best give it a quick check in case it’s already done). Tale it out once it’s ready and let it cool for about 20 minutes on a wire rack. Eat them, all of them. This entry was posted in Vegetarian and tagged baguette, bread, london 2012, olympics on September 30, 2012 by Jonny Kaldor.